I wanted to take this monster to be styled in Walter Pall’s class, unfortunately that just wasn’t possible this year. The tree is probably my largest bonsai, simply due to the fact that it is the only one that I simply cannot fit into my little accord. There’s no way that guy is going in the back seat! My wonderful girlfriend chose this bonsai about a year ago and gave it to me as a birthday present. I didn’t really do too much with it in that time besides appreciate it. Really need some attention if the tree is to stand up to close scrutiny. First though, some music. This will get us in the mood for this spooky Halloween tree. So given the utter profusion of branches, how do we get started on a beast like this? I would first separate, if only in your mind, the branches that simply must go and those where you’ll need to make a decision. The two pictures I just posted are a good illustration of each. In the first, the tumorous inverse taper needs to be taken out, unless you make an interesting feature out of it. For this tree, I don’t believe that would be effective so it is chopped. See how the tree has a tendency to ‘run’ with its branches? These long leggy twigs do not look like tree branches. 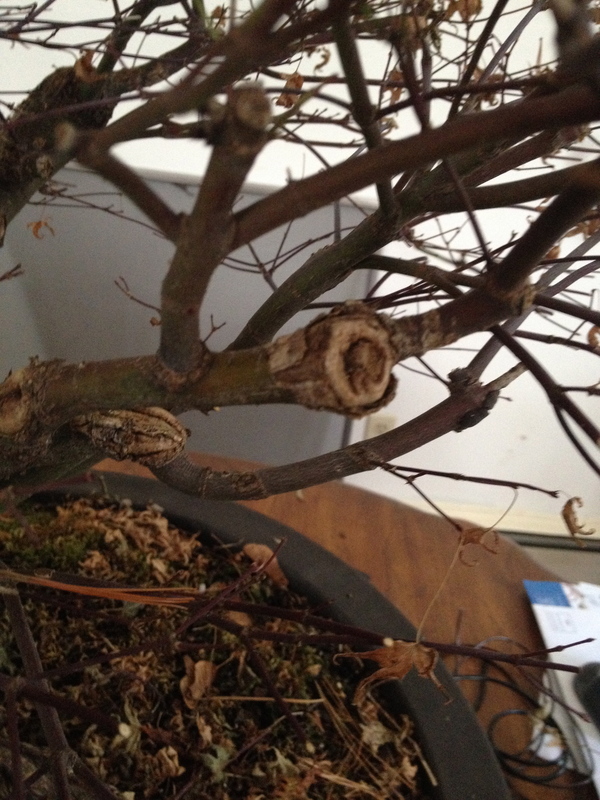 Pruning them back to buds that are closer to the trunk induces back budding and encourages ramification. 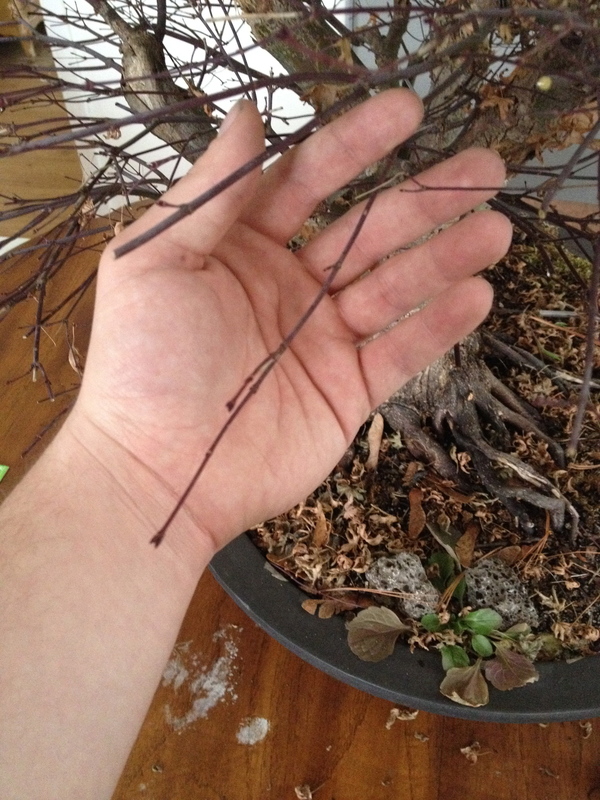 I’ve got another Japanese maple that I haven’t been pruning on one side, to thicken its branches there, and it has put out meter long shoots with no branching whatsoever! 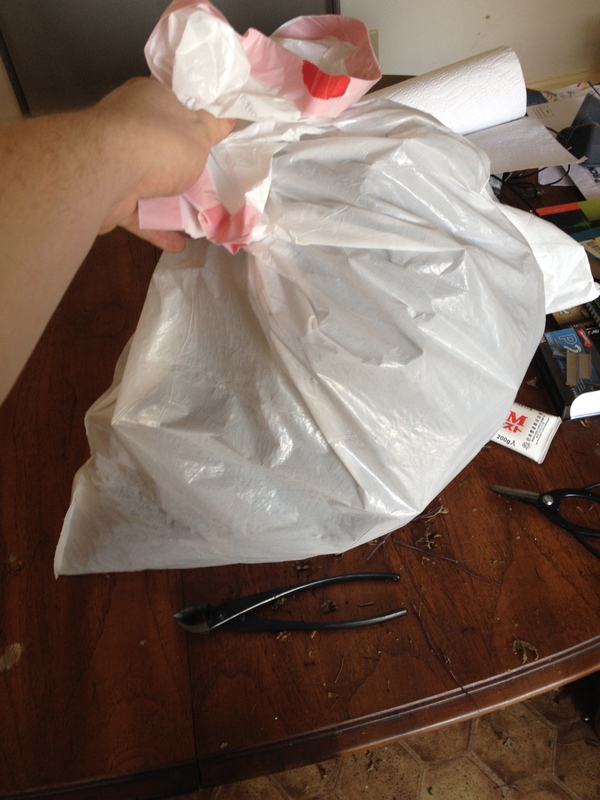 Then, we need to get rid of some of this interior branching. It’s a mess in there! Branches in trees search for the light, those that don’t find it die off so that the tree can shunt energy to other, more productive branches. Finally, although to my chagrin I don’t have any good photos of it, at any nodes that have three branches, one of these must be trimmed off. 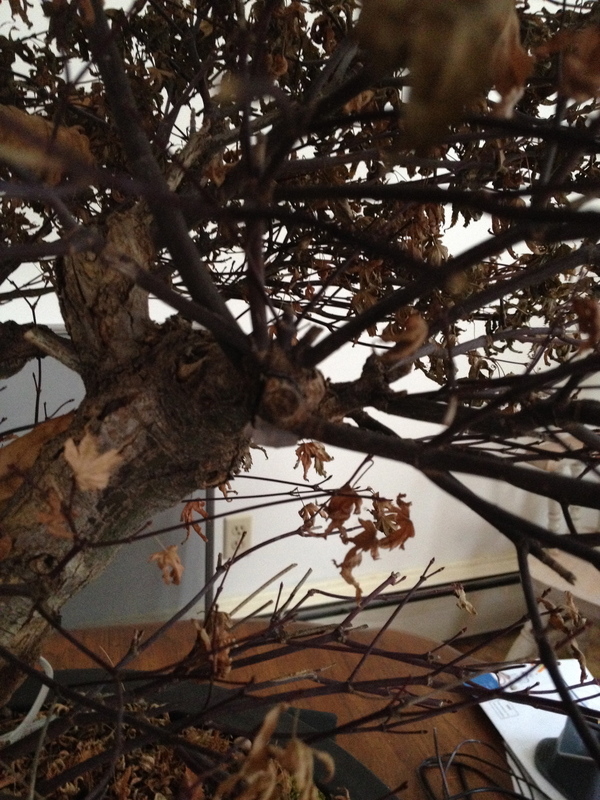 When there are more than two branches, the tree will produce ugly knots and knobs. These can be great features, but should not be encouraged at every twigging branch. The great thing about doing this during the tree’s dormancy is that you can see the branch structure as a whole, unobscured by any leaves. So let’s get hacking! Hell yeah. Ok, so we go through and cut out all the bits that don’t look like a tree. What’s left? 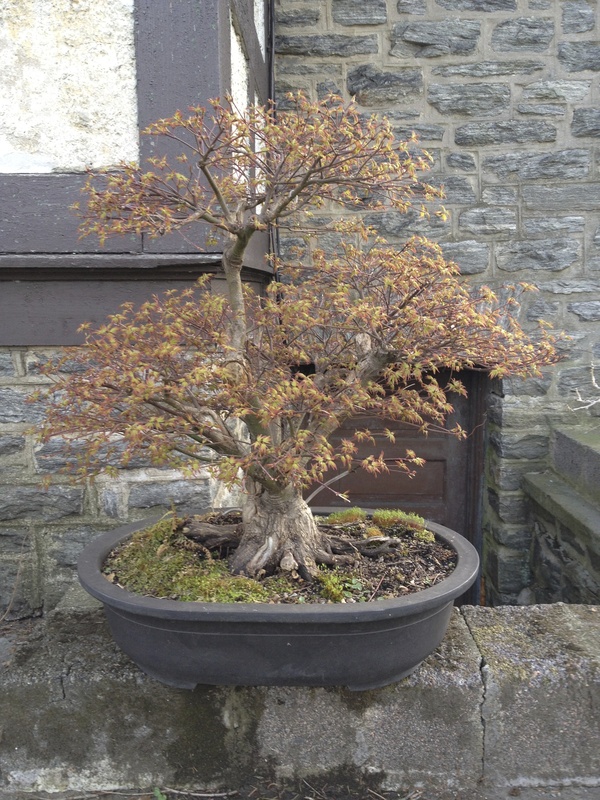 This spring will see the tree in a new pot as well as with some design decisions. I like this front better. It has some interesting ugly crooks and hollows to it. 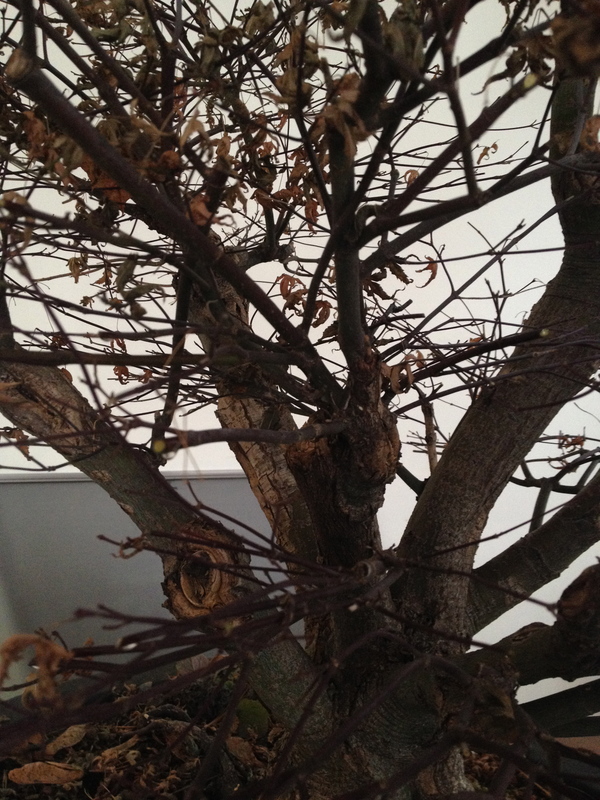 You won’t find deadwood on a traditional Japanese maple, but this is not a traditional Japanese tree. I fear that trying to make it into such would rob the tree of any character it has and leave me with a bare stump. The central ‘tall trunk’ is giving me a bit of trouble. I’m not sure I like it as high up as it is. I’m contemplating grafting some scions lower down on the trunk and regrowing the apex. That might take quite some time, but maybe it would result in a better tree. Honestly, I think that wiring the whole thing up in March or so will make all the difference. I think something like this would do fine. 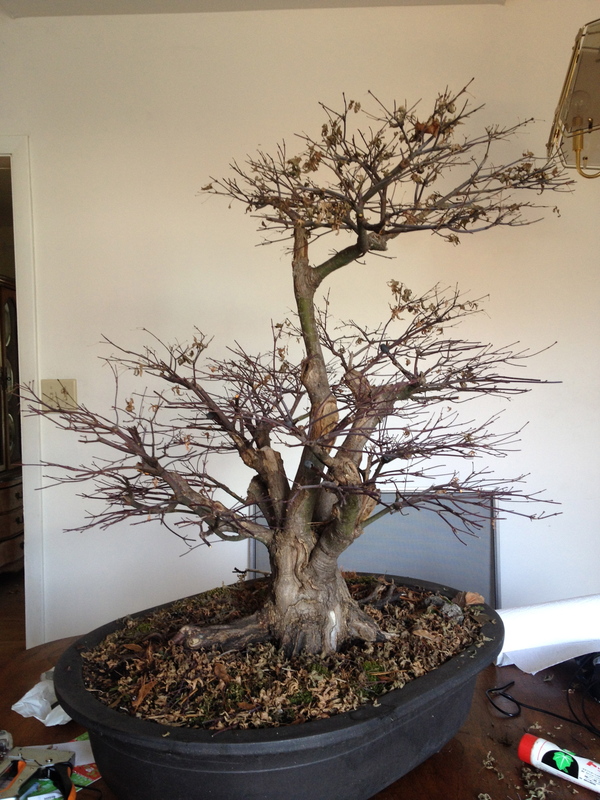 Deadwood features will be carved, and I’m going to need to create some cuttings to graft to the trunk and create a better nebari. Oh well, much to do, much to do! 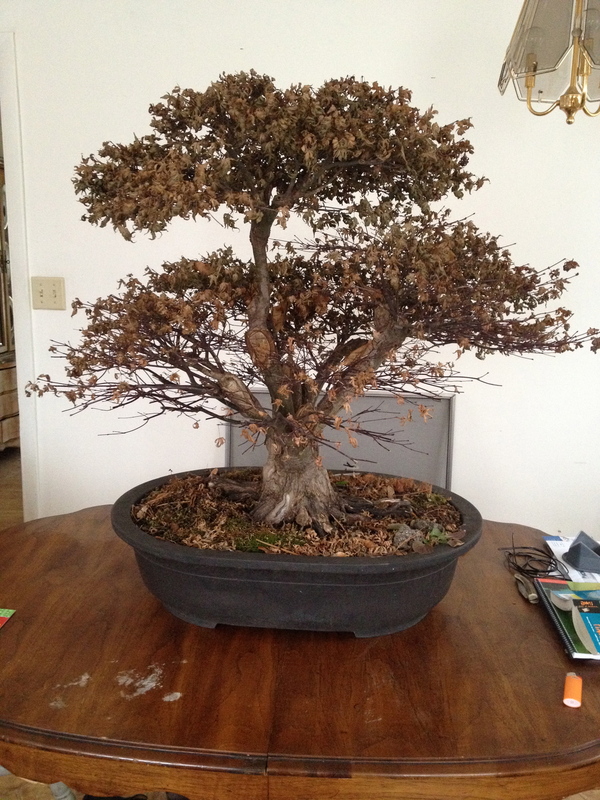 Often people tell me that bonsai must be meditative, relaxing and zen. I find that I’m constantly reminding myself to enjoy the tree in the moment, rather than thinking of what it will become far into the future. Onwards and upwards! Great post. I think you just lob off that tall tall crown, but I don’t know if I could bring myself to do it if it were my tree.